You can help Chesil Sailability every time you shop online. We are registered with both Amazon Smile and easytfundraising. Everytime you shop via these two programmes Chesil Sailability will recieve a very small percentage of you total spend on eligable products and services. This is a great way to help us as it can provide a regular small stream of funds that can be used to help with our day to day running costs that are not usualy covered by some of the other generous donantiond and grants that we recieve. Please help support Chesil Sailability by shopping online. 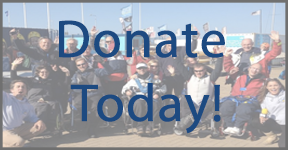 Every time you shop, you’ll raise a free donation for Chesil Sailability every time, it’s that easy!